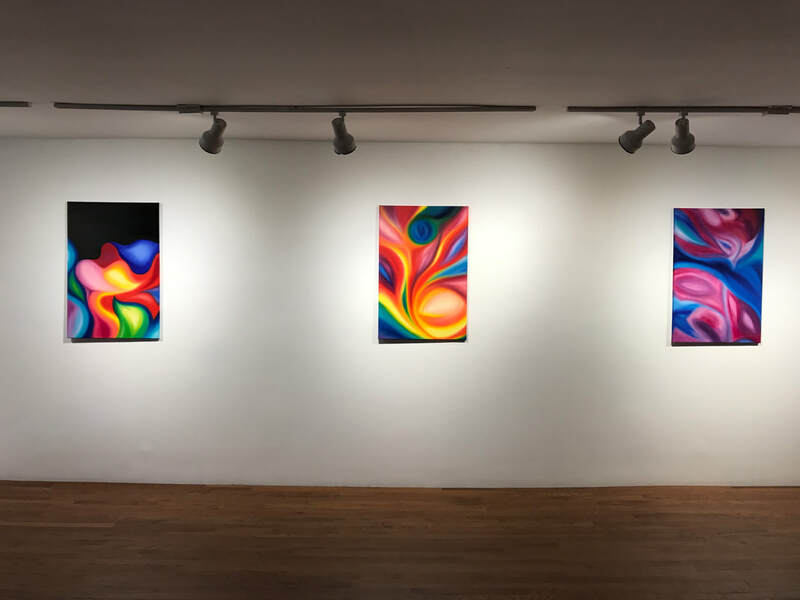 This recent group of easel-size oil paintings were created using bold unmixed colors applied alla prima to achieve a shifting spatial atmosphere. Building the imagery layer upon layer, I direct my color palette as an emotional signifier to reflect on the human condition. Sonia Delauney, Wassily Kandinsky, Hilma af Klint, Elizabeth Murray and Helen Frankenthaler are among the many artists who’ve inspired this body of work.